The Michael Janich designed Yojimbo 2 is an evolved expression of his original Spyderco Yojimbo design, which pioneered the application of the Wharncliffe blade in tactical folders. The refined ergonomics of the Yojimbo 2 complement the natural contours of the hand, ensuring maximum surface contact and positive control. 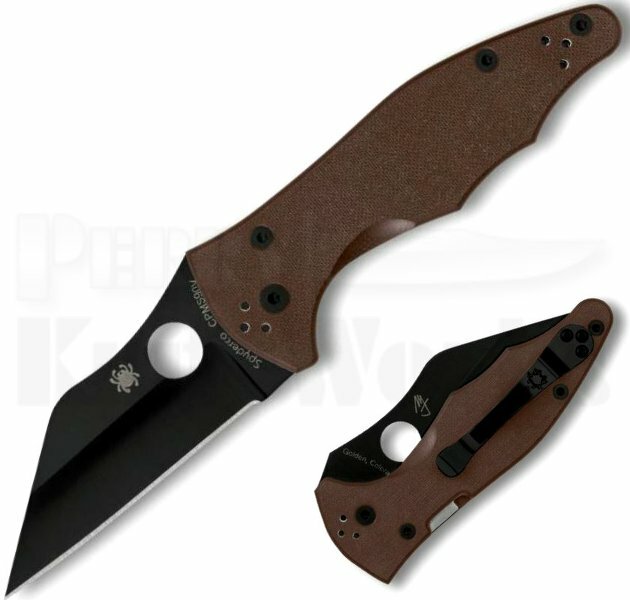 They also encourage a thumb-forward grip and make the black DLC coated 3.1" CPM S30V blade a natural extension of the hand.